Don't miss this Brentwood-Darlington charmer! This single level ranch has an open concept living-dining-kitchen space with 3 bedroom and 1 1/2 Baths. Beautiful bamboo floors in the living room & entry with tile floors in the dining room & kitchen. One block to the bus and just two blocks to Clatsop Park. 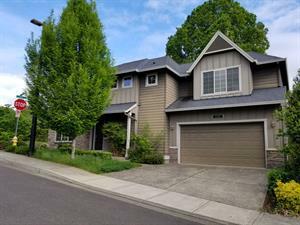 This home is available for move in May 17th 2019. 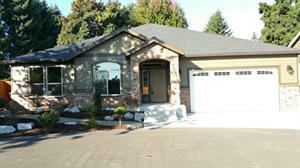 See yourself coming home to this gorgeous 3 bedroom 2 bathroom home located in Vancouver! This bright and spacious home features a luxury kitchen fit for entertaining or relaxing in the bright, spacious living room. Spend those cool winter nights inside by the cozy fireplace or enjoy those warm summer nights outside in your own large, private backyard! Make this home yours today. Contact our leasing agent for more information! Don't miss this wonderful craftsman style home! This spacious house has room for everyone with 5 beds and 3 1/2 bath that includes 2 master suites one on the main level & one upstairs. Fantastic chef's kitchen with gas range, huge island & tons of storage that opens to the great room . The bedrooms in the home are spacious and have great closets. Don't miss the bonus room upstairs! The 3 car tandem garage and friendly neighborhood makes this the ideal home. Enjoy the wonderful back yard that backs to a green space! Available for move in 5/17. Incredible Craftsman home built by Chaffey Homes is just waiting for you to make it home! Wonderful vaulted living & dining room, with oak floors in the entry, hall, eat in and kitchen. The kitchen, eat in and family room overlook private backyard. There is an office on the main floor along with the laundry room. Upstairs has 3 Bedrooms plus a bonus room with vaulted ceilings that could be used as a 4th bedroom. Spacious master bedroom has en suite with soaking tub, shower and double sinks. Plenty of space in the 3 car garage w/custom built-in storage. Make yourself at home at this charming 3 bedroom 2.5 bathroom home located in Battle Ground! This spacious home features a welcoming kitchen that opens to the bright and spacious living room. Don't miss this opportunity to make this home yours. Contact our leasing agent for more information! This stunning home has soaring ceiling in the entry that welcomes you into the great room, dining room and kitchen. The kitchen has beautiful granite countertops, gas cook top, eat-at bar and stainless steel appliances. You'll also find an office that can be used as a bedroom on the main floor with a full bathroom. Upstairs you'll find the spacious master suite that has beautiful crown molding, huge 9'x9' closet & soaking tub. Upstairs is completed with 2 more bedrooms, hall bathroom, bonus room & laundry room. Don't miss this gem in the Mountainside High School district! Come enjoy this cute 3 bedroom 2 bath single level ranch home with great open floor with living room, dining room & kitchen with breakfast bar. Master bedroom has a nice walk-in closet. Private backyard. This gem of a home is located close to shopping, a park and easy freeway access!